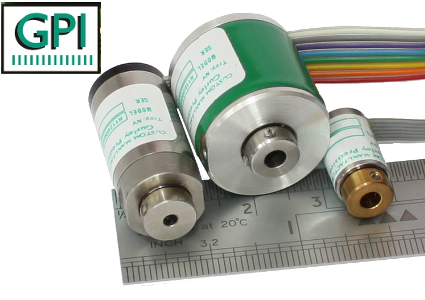 GPI Inc have over several years developed a complete range of rotary and linear optical encoders to suit most applications where the precise position of an object must be determined. Measurement can be made incrementally as the object is moving. GPI, however, specialise in absolute measurement of an object’s position. This technology has been considerably enhanced and cost-reduced by the use of ASIC technology within the small encoders that GPI produce. Measurement of the actual accurate position of position-critical objects is now possible at lower cost as a result. The GPI incremental encoders can also, as a consequence, be reduced in size to fit within very small spaces.